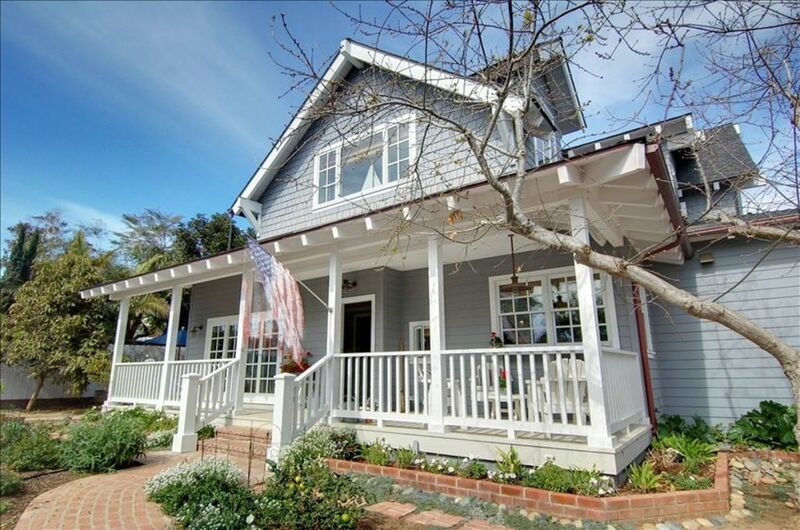 Come enjoy the quiet lifestyle in the charming town of Encinitas. Encinitas is centrally located between San Diego and Orange County with easy freeway and Coaster train access. The small village of Encinitas has many great shops and restaurants all within walking distance. Our studio is just two houses from the water with wonderful beaches that are a short walk away. There is opportunity for great surfing, swimming, and stretches of beach for beach combing and long walks. The quiet neighborhood beach, 'Stonesteps' is 1 block to the north and the active 'Moonlight Beach' is 3 blocks to the south with volleyball courts, beach rentals and a snack bar. Our wonderful studio, 'Hagan's Hideaway' was built in 2007 and is beautifully decorated with custom, comfortable furnishings. It has a queen size tempra-pedic mattress, full bath with tub and kitchenette. It has a fully enclosed, private patio for your enjoyment. Beyond immaculate, quiet street, walking to beach and downtown Encinitas. Nice touches - quality soaps, shampoos, coffee, bottle of wine. We had a very restful wonderful experience. The home owners are lovely people and we had everything we needed. Thank you, Mike and Terri. So nice meeting you! Excellent choice. Perfect choice for the two of us plus our two mini Aussies. Very private. Nice outdoor patio. Beautifully decorated and a place for everything. Definitely worth a return visit. Cozy, cute, and we'll thought out rental. The location was great. We enjoy walking to different places within Encinitas. Everything within a mile or so. It's also a great base for visiting neighboring communities. There room itself is in great condition and outfitted with everything you need. If we visit Encinitas again this place will be in the short list of places to stay. I love everything about this place. I spent two weeks with the beagle boys in this charming little retreat and we couldn’t have been more comfortable. The owners, who by the way are delightful, have thought of everything to make the place cozy and comfortable from hand milled soap to a welcoming bottle of wine. The patio is pretty and perfectly secure for your furry family members. The location is walking distance to two beaches and several restaurants. I will return and give it a rave review. All arrangements/questions part was very smooth, friendly and professional.